Among the sea of the possible stitch tutorials online, we have decided to share the not so popular cross leaves stitch tutorial. The cross leaves stitch is a very easily to distinguish pattern that is used all across the border. 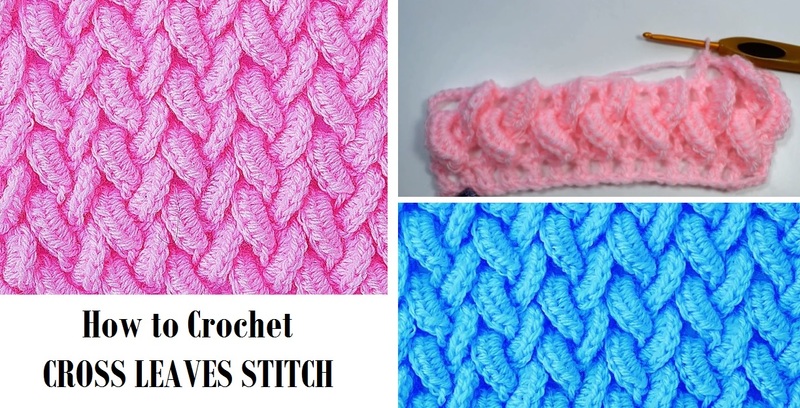 Cardigans, scarfs, shawls, even blankets – they are all made using cross leaves stitch and they turn out to be very comfy because the stitch itself is really a cozy one. The tutorial is quite easy to follow. You are going to look at video guidelines as well as pattern abbreviation and chart symbols. All of this information together will be sufficient for you to complete the project.